Wrongful death. It’s difficult to think about the loss of a loved one; under the most natural of circumstances (old age, after a long and happy life), but when a family member loses their life due to the recklessness of another, the victim’s surviving family members are left in turmoil. This mental anguish brought upon the surviving family after the loss of a loved one due to sudden tragedy may provide them the right to legal action. A victim of wrongful death may have been the sole provider for their family, leaving them not only in emotional anguish, but in financial ruin as well. 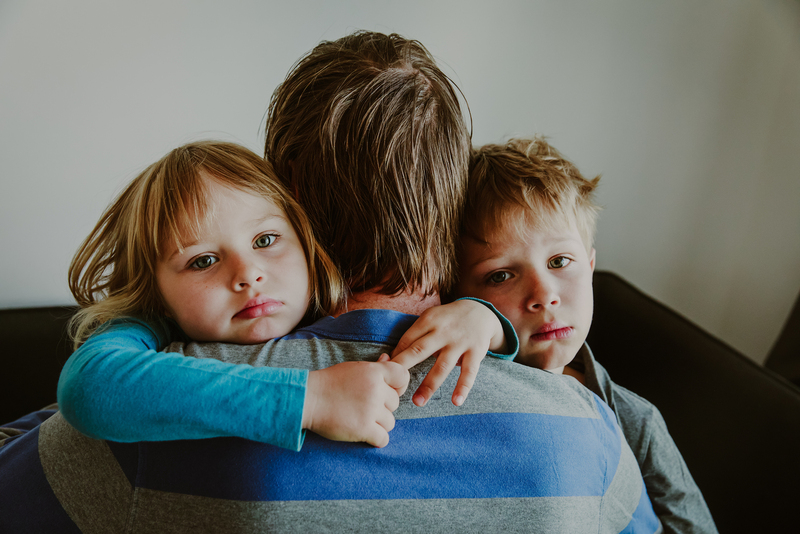 When a child loses the parent that was providing for him or her, that child suffers not only the catastrophic outcome of no longer having Mom or Dad, but the anxiety of worrying about who will be there for their needs. This, too, is considered when litigation is brought after a wrongful death. Within this article, the followup to Wrongful Death: The Law After Tragic Loss we’ll provide further insight into what must happen in order for a family to seek the justice owed to them in a time of tragedy. Wrongful death can be a difficult area to litigate. Aside from the emotional aspect of meeting families during the worst time of their lives, the lawyer is also presented with the the knowledge that regardless of liability the negligent party (“defendant”) may not be convicted of a crime in association with the death they caused. However, in our wrongful death articles we attempt to look at this area of law from the standpoint of a personal injury attorney. The reason for separating civil and criminal is simple: There are many complex differences between lawsuits that are filed by a board certified civil trial lawyer and wrongful death litigation that becomes criminal cases–only criminal cases will turn into convictions. As we’ve always mentioned with deep sensitivity on The Law Resource: An experienced attorney is there to seek the maximum compensation on behalf of the family–because they must be provided for after a breadwinner passes away. However, always remember nothing can replace the loss of a family member, and compensation simply helps to reduce stress, medical bills, lifetime mental health and grief counseling, and funeral expenses incurred by a family due to someone else’s reckless behavior that ultimately resulted in loss of life. When a family suffers a tragic loss such as a wrongful death, a board certified civil trial lawyer should be retained in order to mitigate the stress of the burden placed upon them. Not only is an experienced attorney familiar with the laws that need be followed after a wrongful death, but their moral standing and their code of ethics when handling cases in which a victim passed away are above and beyond that of their peers. Handling sensitive cases such as wrongful death must be reserved for board certified lawyers who understand the emotional and mental toll taken on the surviving family members. The very sensitive subject of death is not easy for the families left behind, and it may take a further toll on them to share the excrutiating and confidential details with their lawyer. Being sensitive to the emotional needs of the surviving family members while maintaining the professionalism needed to take a case all the way to trial (in a timely manner) if necessary is something only board certified counsel can offer. It’s important that once retained, the lawyer acts quickly on behalf of the family, because the statute of limitations in the state of Florida is (2) two years from the time of the victim’s death. Once exceeded, the statute of limitations will cause the case to be dismissed by the judge no matter how valid and catastrophic the claim. Looking at this principle in the context of civil trial litigation and more specifically, personal injury law, the court would use “preponderance of evidence” to determine the standard of proof presented by the lawyer, the expert witnsesses, and the surviving family members who may take the stand. “Preponderance of evidence” is used in civil trial in lieu of “beyond a reasonable doubt”, the latter of which is found in criminal cases. As we’ve discussed at length on the blog in previous articles, the standard of proof is just one area of wrongful death litigation and that many factors must align for a successful outcome (successful meaning justice is granted to surviving family members and they are fairly compensated). Loss of income or lost wages: if the decedent was unemployed at the time of death, a judge or jury will factor in the deceased’s last known earnings and award damages based partially on this information, as well as potential for future earnings, should the victim have only been temporarily out of work. Loss of a parent: parental guidance is another factor strongly considered when determining damages to be awarded; a child will need a legal guardian to care for him or her that may not have provided the insight, love, and life lessons that Mom or Dad could provide. Dependents: If the deceased had any dependents at the time of his or her death, those dependents are factored in, as the deceased was the adult breadwinner in the home. Financial injury is the measure of damages used in wrongful death litigation. This measure used by the judge is also known as “pecuniary injuries”. The judge will consider several important factors before making his or her decision on how much the surviving family is owed. The factors taken into consideration include: loss of support, termination of inheritances, medical and funeral expenses for the decedent, and any financial needs that are no longer able to be met for the victim’s family due to their passing. Lastly, it’s important to look at how “pecuniary loss” is determined within the context of personal injury law, and in this final section we will do exactly that. Once financial injury has been determined by the judge, he or she then factors in age, health of the deceased prior to the negligence that caused the injury, the deceased’s earning capacity, their life expectancy and intelligence in the compensation the family can hope to ultimately be granted. The surviving family members living circumstances are also taken into consideration during this phase of wrongful death litigation. While it may seem like a forthright process, the litigation of wrongful death is more complicated than it appears (thus why only experienced lawyers should take the lead in wrongful death cases). Stayed tuned to The Law Resource all week: in our upcoming articles, we’ll focus our attention on what the age of a victim means when it comes to wrongful death, and what happens when catastrophes such as the loss of a child occurs and how the circumstances surrounding a wrongful death heavily determine the compensation that can be awarded.